5th Regiment Cavalry, United States Colored Troops, a Civil War unit of African descent reportedly subjected to a brutal massacre following the Battle of Saltville. 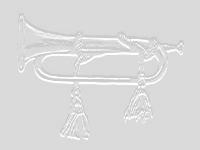 This site is devoted to the history of the Fifth Regiment of the U.S. Colored Cavalry, a unit comprised of men of African descentslaves, ex-slaves, and free menwho fought for the Union cause during the American Civil War (1861-1865). Members of the regiment were massacred by Confederate troops following the Battle of Saltville on October 2-3, 1864. Old Town Crier profiles "Haunted Saltville"
Just after sunset on October 2, 1998, the 134th anniversary of the Battle of Saltville, the men of the 5th USCC who were massacred in Saltville in 1864 were honored on the very battlefield on which they were killed. The ceremony, organized by Bill Archer of nearby Bluefield, West Virginia, was attended by about 130 residents of the Bluefield and Saltville communities. After several prayers, poems, and gospel hymns, a group of Bluefield youth lit luminaries and placed American flags on Chestnut Ridge in honor of the men of the 5th and 6th USCC. Samuel Johnson of Bluefield read the names of the over fifty men presumed to have been murdered after the battle. At the end of the moving ceremony, a Bluefield youth, Daniel Wells, blew taps and a local pastor, Rev. F. Winston Polley, consecrated the ground and offered a final prayer. The event represented the long overdue recognition for the men of the 5th who fought so bravely, yet died so savagely, and have been so shamefully forgotten by the nation they died serving. 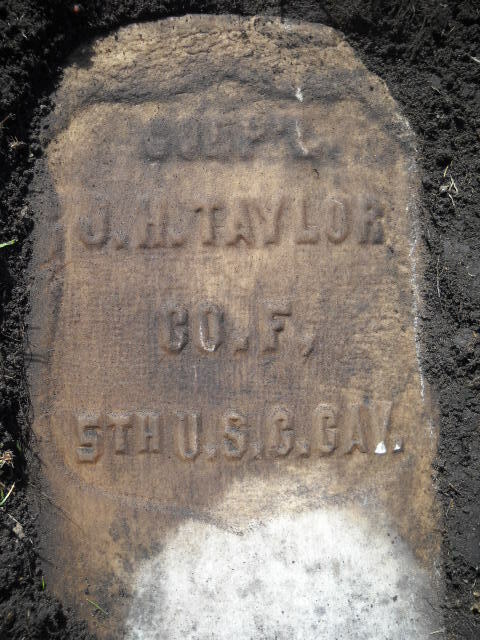 This represented the first step toward making amends and many of the event's attendees expressed a commitment to determine where the men were buried after the battle and to erect a permanent monument to their memory in Saltville. 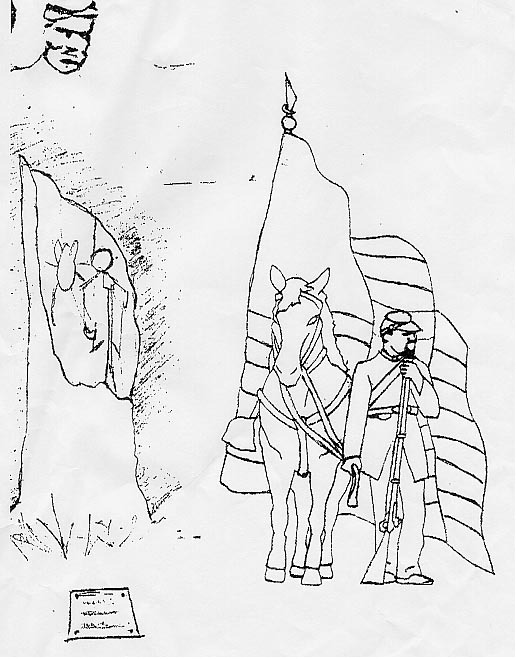 A second annual ceremony honoring the men of the 5th and 6th USCC that fell in Saltville was held on the evening of Saturday, October 2, 1999. In addition, a dawn service marking the 135th anniversary of the massacre was held on October 3, to honor the victims and to demonstrate support for a search for the mass grave and a monument to the murdered soldiers. The August 23, 1999 edition of the Richmond Times-Dispatch reported that Radford University researchers have enlisted NASA to help determine the size of the Saltville massacre. The Radford team, with the aid of high-altitude NASA images, is making the first systematic search for a mass grave where black Union cavalrymen were buried after they were murdered on Oct. 2, 1864. In early 1864, Union General Stephen G. Burbridge, commander of the Military District of Kentucky, authorized the formation of "colored" units comprised of freedmen, ex-slaves, and slaves within his command. 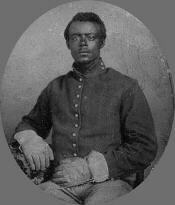 On June 30, 1864, Adjutant General Lorenzo Thomas, responsible for organizing colored regiments in the Mississippi Valley for the Union Army, authorized the officers of the newly formed 5th United States Colored Cavalry (5th USCC) to begin selecting recruits. Colonel James Brisbin, a well known abolitionist, became commander of the regiment. Some of the companies were recruited at Camp Nelson, Kentucky, while others were enlisted in nearby towns, including Lebanon and Louisville. 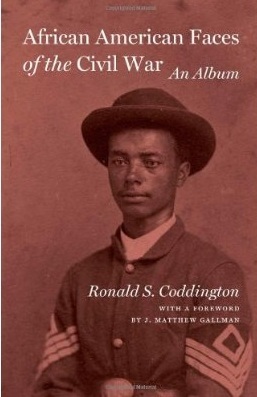 Nearly all of the recruits were former slaves, the majority of whom volunteered for three years of service. 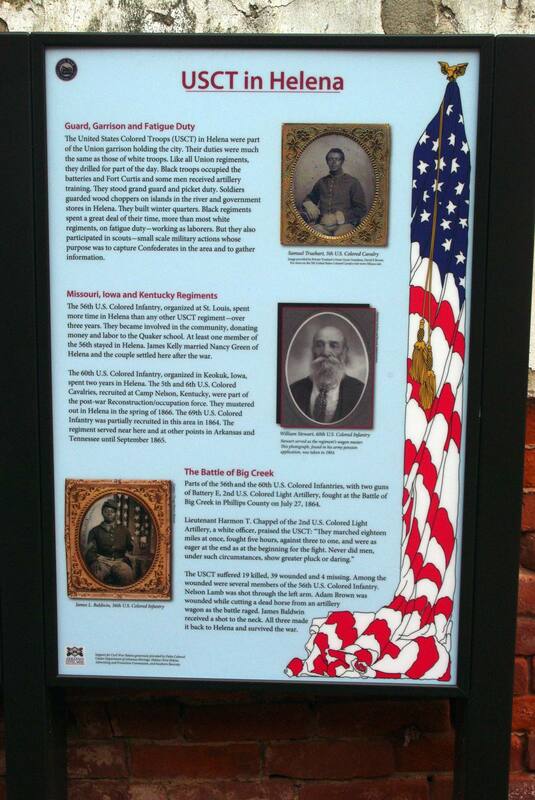 In accordance with Thomas policy, all of the officers of the 5th USCC were white. 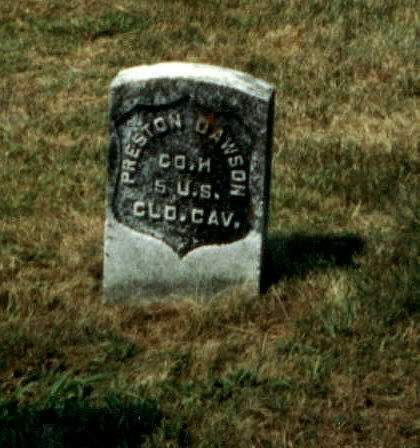 Although over six hundred members of the unit engaged in actions under General Burbridge's command in Southwest Virginia in September and early October of 1864, the regiment was not officially organized until October 24, 1864 at Camp Nelson. The regiment was attached to the 1st Division, District of Kentucky, Dept. of Ohio until February, 1865. 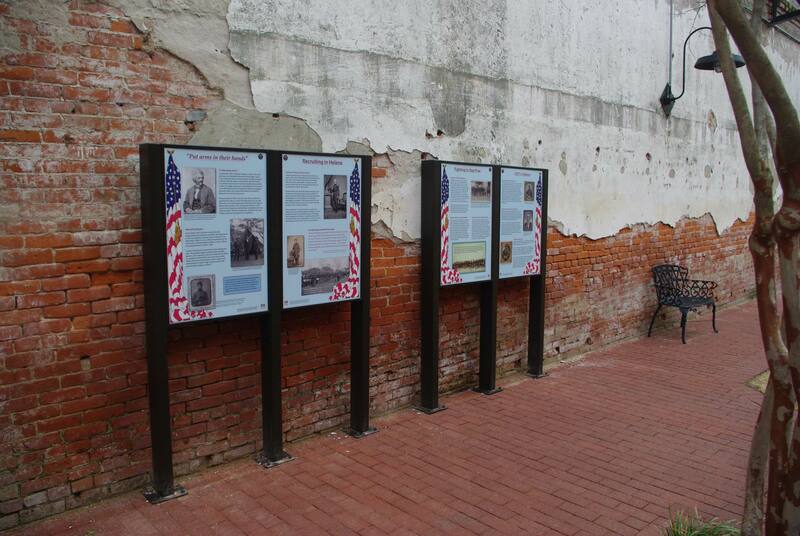 The regiment subsequently served under the Military District of Kentucky and the Dept. of Arkansas. While stationed in Arkansas after the war, the regiment reportedly hunted down rebel renegades, supervised free elections, and tried to protect office holders and freedmen from the Ku Klux Klan and early versions of the White League violence. The men of the 5th USCC did face a low level of civil hostility and violence during this uneasy transition period by trying to keep the peace, as many former rebels resented occupation by "colored" soldiers.. 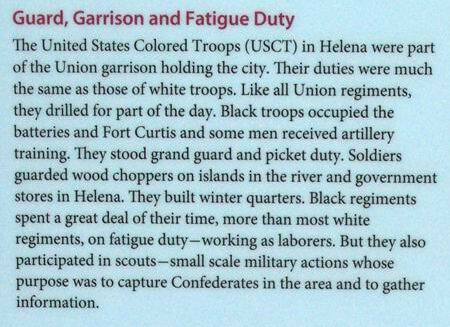 The unit was mustered out in Helena, Arkansas on March 20, 1866. Many of the white officers that led the 5th USCC were subsequently assigned to the 10th Cavalry, one of two cavalry regiments comprised of men of African descent that served in the western frontier and became known as the Buffalo Soldiers. The final regimental commander of the 5th USCC, Louis L Carpenter went on the win the Congressional Medal of Honor for his valor while leading Company H of the 10th Calvary during the Indian Wars. Although the 5th USCC is not as renowned as the 54th Massachusetts Infantry portrayed in the Oscar winning 1989 motion picture Glory, they did bravely participate in Burbridge's Raid from Kentucky into Southwestern Virginia from September 20 to October 17, 1864, during which they saw fierce action at Saltville, Virginia. The regiment also participated in Stoneman's Raid into Southwestern Virginia, December 10 to 29, which resulted in the eventual capture of Saltville and the destruction of the Confederate salt works. 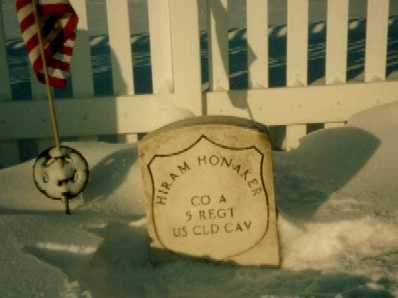 According to the records of the National Park Service's Civil War Soldiers and Sailors Project, 1,459 men served in the 5th USCC and 35 of the regiment's enlisted men were killed or mortally wounded. 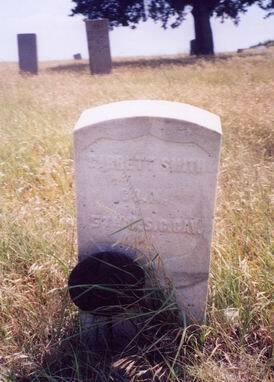 In addition, one officer and 151 enlisted men succumbed to disease during the regiment's term of service. However, since the days after the first Saltville conflict in October 1864 a debate has raged over reports of a brutal massacre of Black troops at the hands of Confederate soldiers. 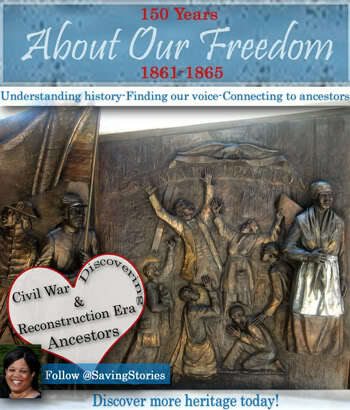 To this day, Civil War scholars debate the scope and severity of the reported "massacre. " Some were recruited at Camp Nelson, Kentucky other from surrounding towns, Lebanon and Louisville. 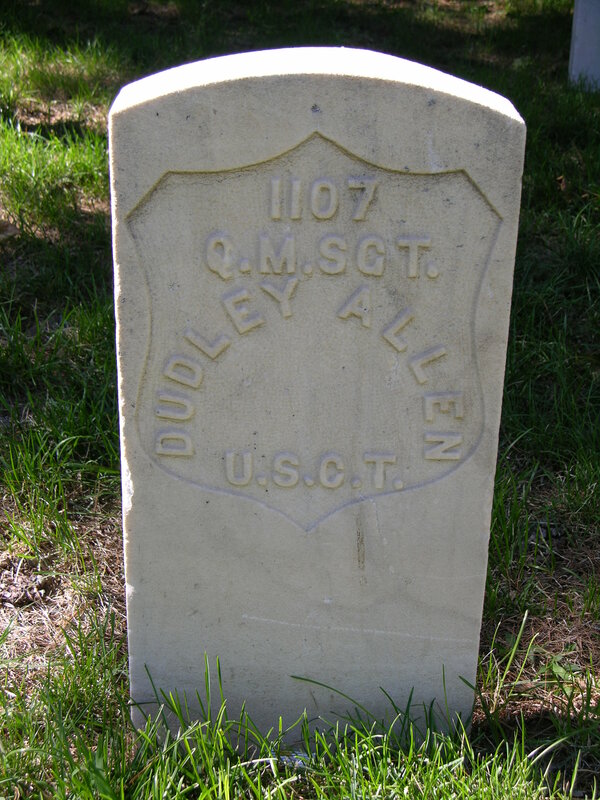 Men often enlisted in a company recruited in the counties where they lived though not always. After many battles, companies might be combined because so many men were killed or wounded. Company M - Many men mustered in from Camp Nielson, Glasgow, Barren County, Kentucky. 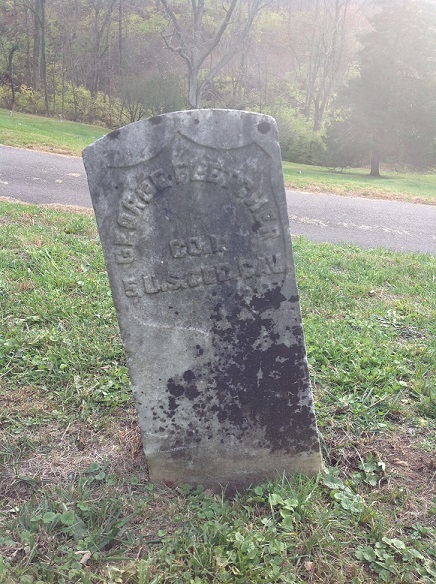 Gravestone of George Fletcher, Private, Company L, Hillcrest Cemetery, Anderson Ohio.